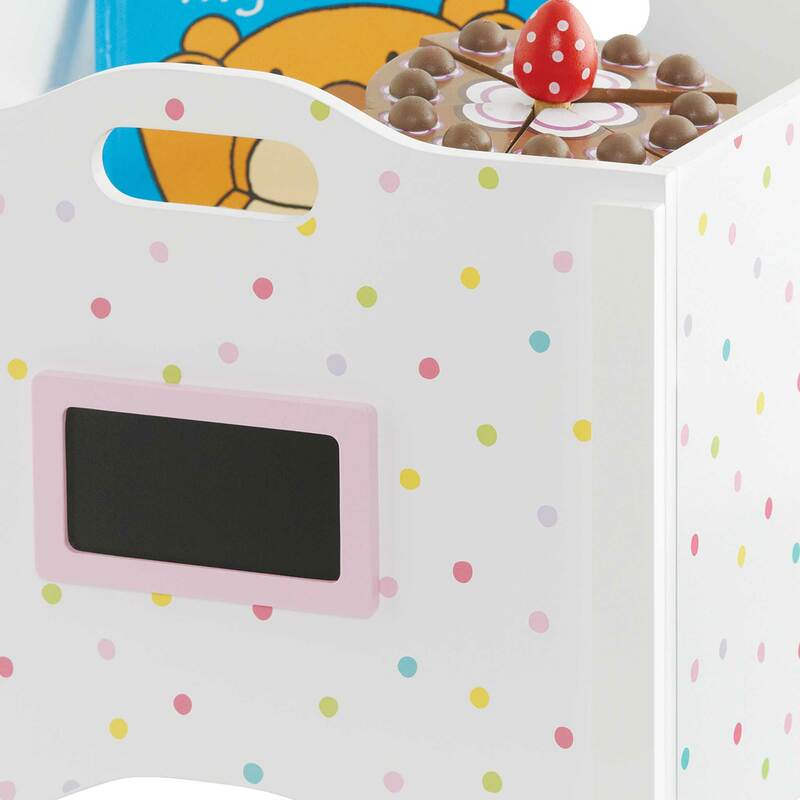 Stacking Toy Box, Confetti Spot | Great Little Trading Co. 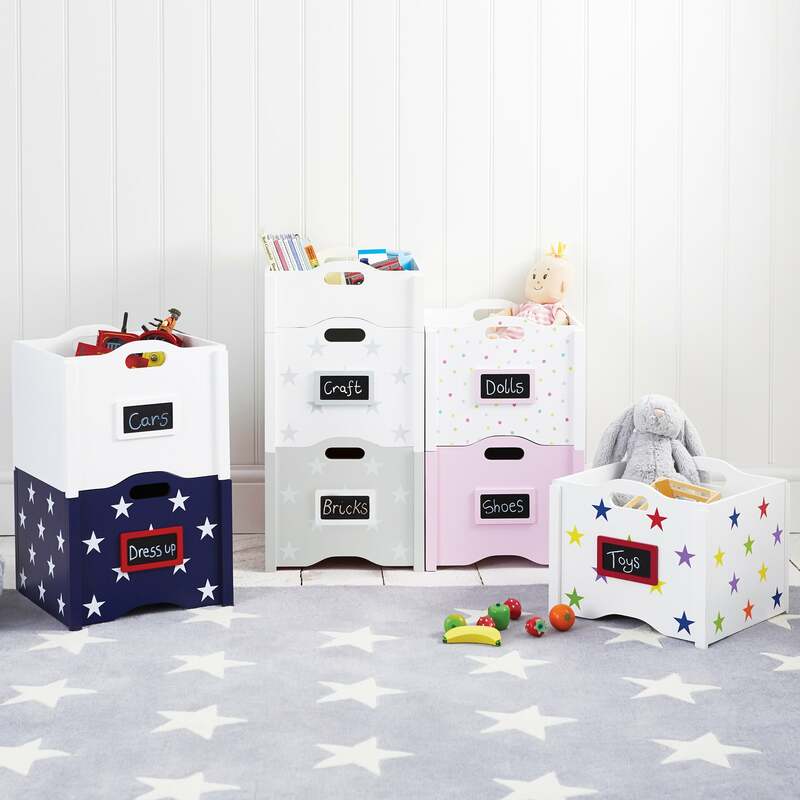 This smart stacking toy box is easy to move around and has a useful blackboard label so everyone knows what is (or should be) inside. Stack them in pairs for safe, easy to use toy storage. It's available in White or a selection of gorgeous patterns, including Grey Star, Navy Star, Bunny Hop, Dinosaur or Rainbow Star. For safety reasons we strongly recommend these storage boxes are only stacked to a maximum of two.